Does Updating iTunes Delete Songs? The Best Answer! On my iTunes i have song that were downloaded from iTunes and limewire and some old cds that i no longer have...does anyone know if i update my iTunes will i lose any of my songs?? Part 1: Does Updating iTunes Delete Songs? Part 3: Bonus Tip: Where is the iTunes Music Located? According to most iTunes users, iTunes does not delete songs when it is updated. In fact, it does not even access the location where the songs are stored. However, this issue may occur if iTunes or iTunes Library is somehow corrupted due to a malware, virus, or any other cause. If iTunes library deleted after update, then you can follow the solutions to below to fix your iTunes. iMyFone TunesFix is an iTunes repairing tool that allows you to fix various bugs and errors like iTunes update deleted playlist and iTunes library deleted after update to make your iPhone file management experience convenient. It offers cleaning features as well, allowing you to quickly free up space by deleting unnecessary iTunes data and update files. 1-Click Repair: TunesFix is capable of detecting various iTunes problems. Once the problem is detected, you can simply fix it by using the ‘Repair’ option. Two Options: Quick Clean and Deep Clean features to boost the performance of iTunes by cleaning iTunes media, update files, backups, etc. 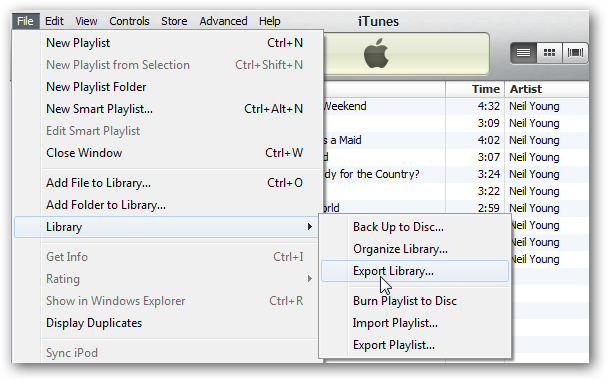 Easy to Uninstall No need to go from component to component to completely uninstall iTunes. Fix Upate Issues: The software is also capable of fixing iTunes issues related to iTunes updates. One-click to solve iTunes backup and restore problem. If you has hesitation about “does updating iTunes delete songs?”, then it is recommended that you use a third-party app to rebuild iTunes library. iMyFone TunesMate is a powerful iPhone file management tool that also allows you to rebuild your damaged iTunes library. Furthermore, you can back up and restore your iDevice media files more conveniently and also don’t have to worry about getting your media files deleted when updating the software. 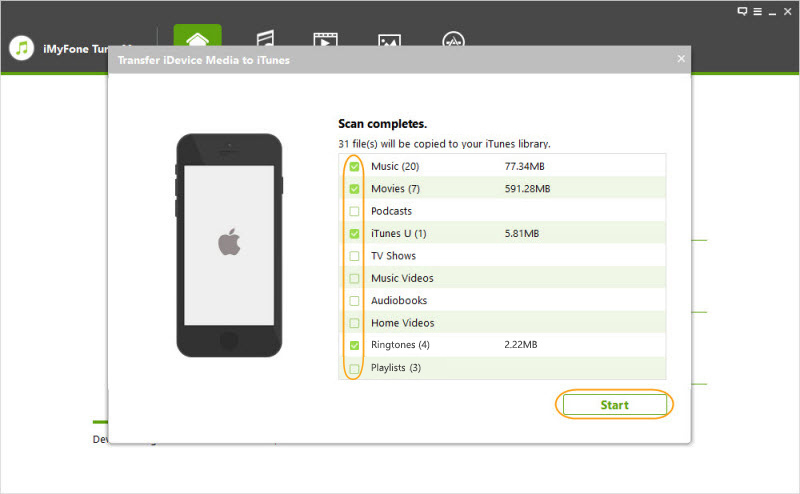 Rebuild your iTunes library quickly by transferring all your iPhone media to it within a few clicks. Back up the iTunes library to your iPhone even when iTunes library is damaged/corrupted. Add non-purchased music to your iTunes library. So you can rebuild it without worrying about whether you have purchased songs or not. Enrich your media management experience by merging multiple different iTunes libraries. Transfer many types of files including music, photos, videos, podcasts, etc. between your iDevice and iTunes/computer. Step 1: Connect your iPhone to your Mac or Windows PC with a lightning cable. Open iMyFone TunesMate. 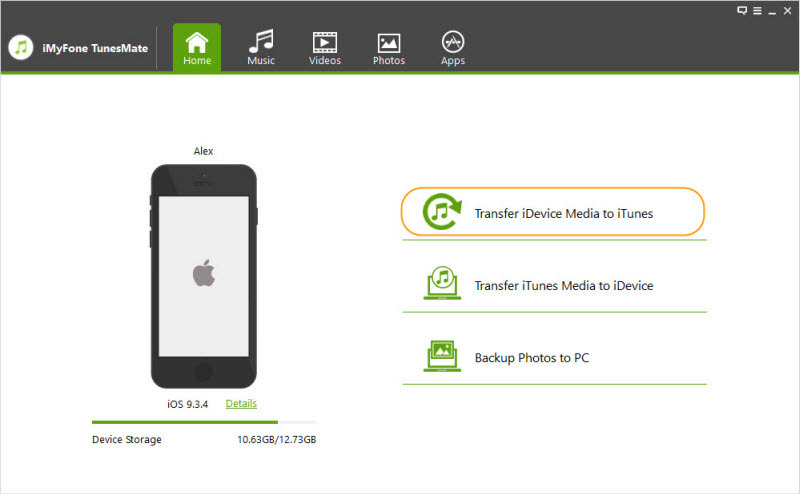 Step 2: From the main page of TunesMate, select Transfer iDevice Media to iTunes option. Click on the Start button when prompted. Step 3: On the next window, you will need to select the media file types that you wish to transfer to iTunes. Select Music and leave other options unchecked. Then click Start. The transfer process will begin. If you want to be on the safe side and don’t want to worry about “If I update iTunes will it delete my music”, then you will need to export your entire iTunes library before updating. In this way your songs will be backed up so if they get deleted during the iTunes update, then you will be able to import the library to restore them back. Step 2: Choose File > Export Library option. Step 3: Once the export process is finished. You can proceed to update iTunes. Step 4: After the update is completed. Choose File > Import Library and then choose the .xml file that you exported in step 2. Bonus Tip: Where is the iTunes Music Located? iTunes music as well as other media is by default located in the iTunes folder on your computer’s hard drive. Locating that folder shouldn’t take long. Open Windows Explorer in your PC. Navigate to C:\Users\[username]\My Music\iTunes\. You will find iTunes music there. If you can’t find the folder, then launch iTunes and navigate to Edit > Preferences > Advanced and check the option ‘Copy files to iTunes Media folder when adding to library’. After that, the iTunes music folder will be visible.